Today we present 5 positions taken from high level games and involving some sort of tactical motifs. These are not typical, straightforward mate-and-3 problems. You need to be creative in order to find the combination winning material and the game. In many cases you need to consider alternative responses of the opposite side to consider your solution complete. Give it a try, post your solutions in the comment field below! Today we want to give you some practice material to work with. Tactics is something that most chess players cannot get enough of. 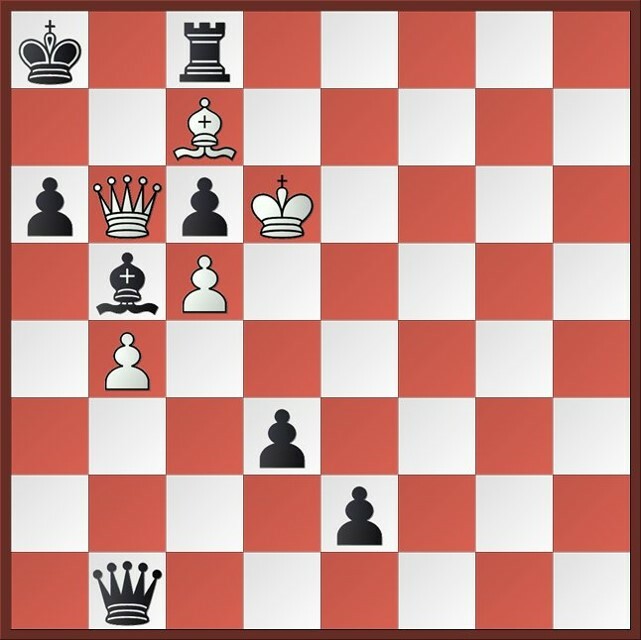 Solving hard chess problems is something that might make a difference in your games between a draw and a lose or a draw and a win. Try solving the following 5 problems and don’t forget to comment with your solutions. Today we are presenting 3 hand-picked, mate-in-5 problems. These are some pretty difficult problems that may take you some time to figure out. How strong do you need to be to solve them? Well, I do not know exactly, but I know that after you solve these problems you will definitely get a little stronger tactically. Go ahead, challenge yourself, and don’t forget to leave a comment with your solutions! 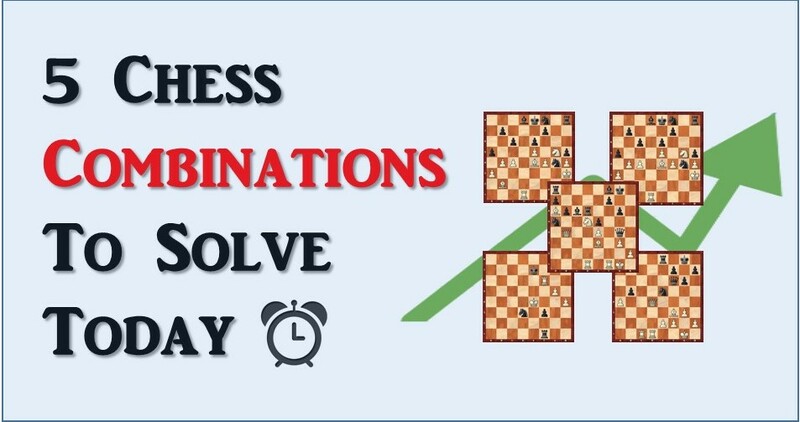 Few days ago we have released an article 5 Chess Combinations to Solve Today. These weren’t exactly the hardest problems as some of the readers pointed out. That is why today we release these mate in 4 problems (they are much harder). So, if you want to challenge your tactical ability, this is your chance. Solve these 4 tactics problems, and compare you answers with the solutions posted at the end. Good luck! Tactics training is a very important element for any chess training program. Unless you are at least 2400 rated, your tactics vision is not that great and it is something that can dramatically improve your overall level if worked on consistently. Let me give you a simple analogy. Just think that your chess ability is a horse. A weak tactical vision means that your horse has only one leg instead of all 4. Is it easy to ride a one-legged horse? Paul Keres (1916-1975) was a prince among men. He was among those few players never to have won the crown in spite of sheer talent and achievement. In his younger years he was known for adventurous play and astounding combinational skill. It is well know that in order to improve your positional understanding you need to study games of stronger chess players. What do we do about tactics? Do you need to solve tons of problems? The answer is ‘yes’ and ‘no’. You need to solve the right type of tactics, the ones that actually have occurred in real games. I have good news for you though. By studying today’s problems you will not only improve your tactical vision but also will add few ideas to your positional arsenal. Today we are continuing our traditional tactics training session by introducing 5 new mate-in-2 problems. I want to remind you that in order to get maximum results from solving tactics and improve your visualization skills you need to find solutions in your head avoiding shuffling pieces on a practice board. Solving chess tactics is an important part of any chess training program. 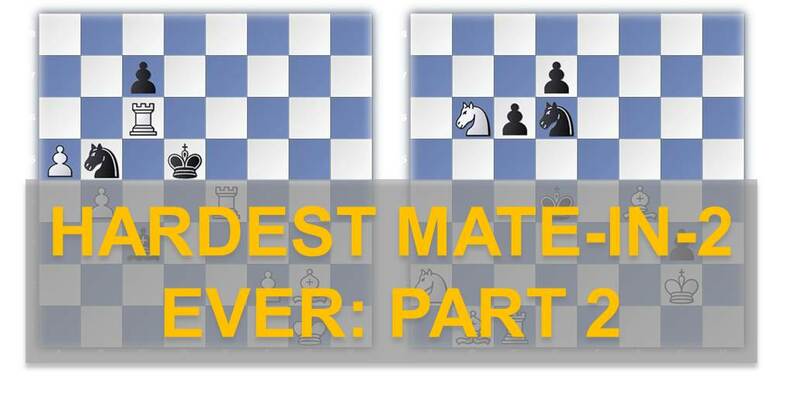 Today we present a continuation of the first series of 5 Hardest Mate-in-2 Ever that was released previously. The greatest composers of 20th century created these 5 compositions we are offering you to try. It’s not your typical mate-in-2 problem where you need to find an obvious fork or a mate. Here you need to take a few minutes (hours?) to think how to cooperate the chess pieces in a single, the most effective and deadly way, to… deliver a checkmate in 2 moves. Take your time, don’t move until you see it!